According to legend, a Bavarian barman needed to stretch his beer supply one afternoon and decided to add a barrel of citrus juice to his brew. 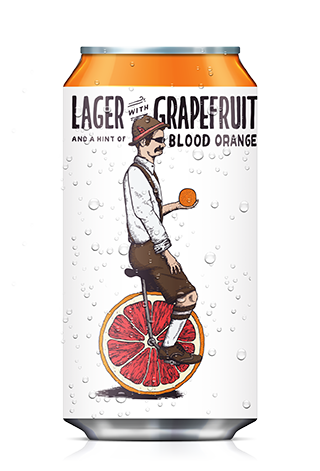 Inspired by this ingenuity, we created TW Pitchers' Radler, a refreshingly crisp blend of lager and grapefruit juice with a hint of blood orange for good measure. Wunderbar! This easy drinking session IPA is loaded with mosaic and citra hops and blended with a touch of passion fruit and lychee post-fermentation. Juicy IPA, IPA shandy...call it what you want - we call it delicious and seriously crushable. Snake Bite is our take on the traditional British pub-mixed blend of lager and apple cider. With crisp apple up front, a splash of tart cranberry, and a subtle malt backbone, Snake Bite is refreshing, balanced, and not too sweet. Cheers! In an ode to the Bayou, this smooth, creamy milk stout is blended with New Orleans style coffee - cold brew, chicory, and a touch of maple. Laissez les bonz temp rouler! A crisp wheat ale blended with fresh pomegranate lemonade, Pop Top will have you hightailing it to the great outdoors to kick up your feet, pop a cold one, and soak up some suds n' sunshine.